A picture card depicting, on one side, a colour illustration of a green Bentley 3 Litre. 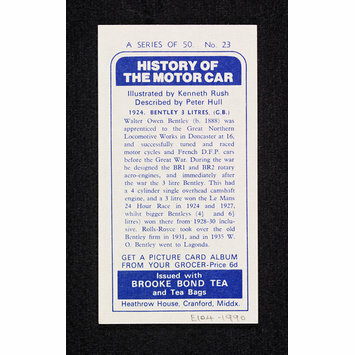 On the other side is a description of the history and specifications of the automobile. 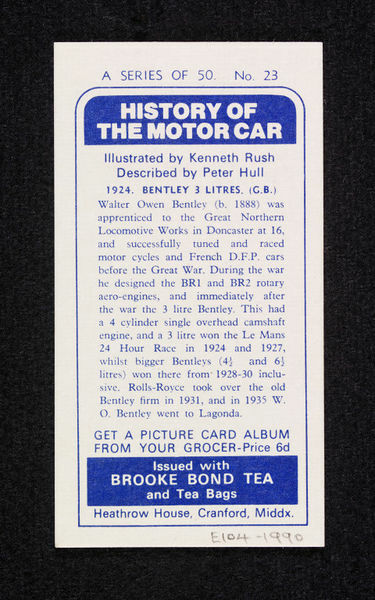 This card is part of a set of cards that were issued individually in packs of Brooke Bond Tea.